Nintendo announced additional features it has planned for the upcomingUltimate NES Remix for the Nintendo 3DS, including a super-speed take on Super Mario Bros. Ultimate NES Remix includes a new "Famicom Remix" mode that features challenges previously exclusive to the Japanese versions of NES Remix and NES Remix 2 for the Wii U. Speed Mario Bros. is also new to the collection, offering a complete version of the 8-bit classic Super Mario Bros. that plays at double its normal speed. 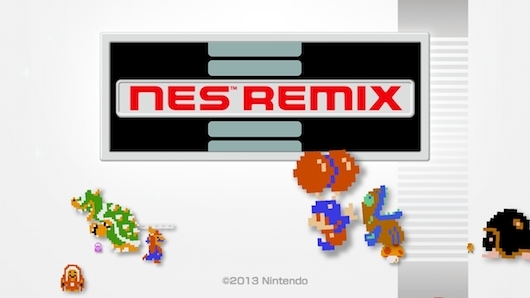 Ultimate NES Remix hits retail and the 3DS eShop on December 5. [Shawn]‘s build uses a cardboard box overlaid with a printout of a scaled-up Game Boy. Again, a laptop serves as the emulator and screen, input is handled by a ‘duino clone, and the buttons are slightly similar, but made out of cardboard. It shouldn't be surprising then that the three best-selling games of the month were for the 3DS. While we are still working on the savegame features we promised, at the same time we also have other features in the works. One of these other features was just finished and we were so excited that we could not wait any longer to share it with our users! So what’s the new feature? Support for DevMenu and many other debug System Applications! With DevMenu you can now install CIA archives straight into the SD card and launch games from there. You can even take out the Gateway red card after booting into Gateway mode and still play the game from SD! Digital distribution is becoming increasingly popular throughout the console gaming industry, and Nintendo is no exception to the trend. In an interview withRe/code, Nintendo of America president and COO Reggie Fils-Aime said the company is seeing its ratio of digital-to-physical sales shifting, but the scope of the change varies on a case-by-case basis. Those sentiments are similar to ones made by Activision executives this week ina post-earnings conference call. The publisher's Destiny and Diablo game saw download percentages in the high teens. However, executives noted that early adopters of new consoles have been much more willing to embrace downloadable games than their past-gen counterparts, so the platform still plays a role in a game's digital-physical revenue mix. Destiny didn't appear on the Wii U, and for the first time since the system's launch, Activision's Call of Duty franchise also took a pass on the system. When asked how Nintendo plans to court more third-party developers, Fils-Aimereiterated points the company has previously put forward, but emphasized the importance of the online experience. Nintendo of America president Reggie Fils-Aime has admitted he'd love to see more third party multiplatform games released on Wii U, although he insists his main focus is on offering customers experiences they can't get on rival platforms. While major third party publishers initially showed support for Wii U, that has dried up somewhat due to lower than expected hardware sales following the console's November 2012 release. Unlike 2013's Call of Duty Ghosts, this year's Call of Duty Advanced Warfare wasn't released on Wii U. Nor were the past two FIFA games, although EA chief operating officer Peter Moore told CVG in August that the console was still under consideration for future series releases. Ubisoft backed Wii U significantly with system exclusive ZombiU and fellow console launch title Assassin's Creed 3, but neither performed as the company had hoped. Both of this year's Assassin's Creed games aren't being released on Wii U, and Ubisoft CEO Yves Guillemot has said the upcoming Wii U version of Watch Dogs will be the last mature game the company releases on the system. Asked how problematic the decreased third party support for Wii U is, Fils-Aime told Re/code: "I would answer the question in a couple ways. Third parties are bringing multiplatform content to our platform - Watch Dogs from Ubisoft, as an example. I would love to have Call of Duty on our platform. I would love to have any of the big blockbuster, multiplatform titles. "But I have to say, more specifically, I want games that provide a differentiated consumer experience. If you look at the other two competitive platforms, fundamentally, what's the difference? When you look at either one, either by themselves doesn't have a lot of exclusive content. They have a lot of shared content. "Look at it from the standpoint of, what don't they have? They don't have our games. They don't have Mario and Zelda. I'd much rather be where Nintendo is, with a differentiated platform, differentiated set-up experiences that we can provide uniquely to the consumer. 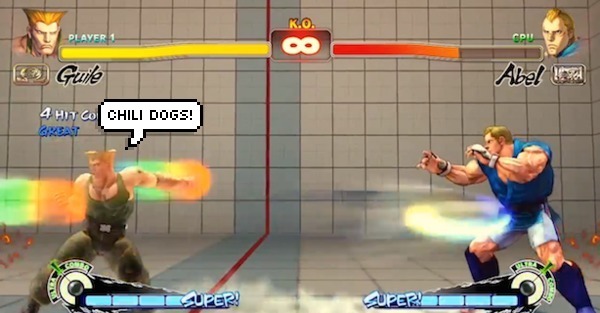 Let those other guys battle it out over, you know, which visual representation of Call of Duty is most compelling. I like our chances of having a differentiated console and a differentiated series of experiences." Wii U sales stood at 7.29 million units as of September 30. That compares unfavourably to PS4 sales of 13.5 million units. Despite having a year head start on the latest consoles from rivals Sony and Microsoft, Wii U sales are closer to those of Xbox One. Microsoft's console hadshipped five million units as of March 31, while a further 3.5 million Xbox consoles (One and 360) were shipped in the following six months to September 30. However, Nintendo said earlier this month that Wii U sales have been on an upward curve since Mario Kart 8's release in May, and Fils-Aime suggested that the system's improved performance could lead to stronger third party backing in the years to come. "This business is built on a year-and-a-half or two-year planning cycles, especially for the home console space. Products that they're thinking about today are not going to come into the market until two years down the road. By doing a great job today in the here and now, that's what's going to feed the pipeline of great new third party content coming onto our platform. For us, that's the long game that we're trying to play." Fils-Aime also said Nintendo won't introduce a Wii U successor until developers hit a ceiling on the existing console's potential. "Our mentality is, fairly soon after we launch new hardware, we already begin thinking about what's next. That's an ongoing process for us. In the end, what galvanizes us to move is when our developers have a great gaming experience that can't be done on the current platform. We're not there yet on the Wii U. "The experiments that Shigeru Miyamoto showed at E3 show that there's a lot of innovation to be mined with Wii U. We showed off the beginnings of a Zelda game coming to Wii U. We have a lot more content to create for the Wii U, but we're always thinking about what's coming next." Are the anti-authority stylings of Sunset Overdrive a little too hi-fi for your gaming tastes? Well friends, maybe the 8-bit aesthetic of Punktendo might be more up your alley. As the name implies, it's classic NES games by way of NOFX and more. If you're curious what type of Flash-based goodies await once you get home from work, Milo Fu is Kung Fu with The Descendents' mascot, Super Mikey Erg! is Super Mario Bros. starring The Ergs' frontman and Fat Mike's Golf, appropriately, is the Fat Wreck Chords' owner inserted into Golf. It's the latest project from Jeff Hong, a Brooklyn-based storyboard artist who's previous work includes stuff for Nickelodeon, Fox and Disney. As Vice points out, though, you might know him better from Grumpy Punk Cat or Unhappily Ever After. Nintendo's Mii App for smart devices has been pushed back into 2015, company president Satoru Iwata has confirmed. As part of a briefing for Nintendo's investors, Iwata explained the team working on the app needed additional time to refine “various elements” for release on tablets and smartphones. “The application under development that I said we would like to release within this year at the Corporate Management Policy Briefing in January is one that utilizes Mii on smart devices,” Iwata said. “If we were able to expand the Mii population and Mii were usable on consumers’ smart devices, for example, if consumers were able to create their profile icons on social media using Mii, we believe consumers would be happy, and we are developing something like it now. The app has been in development since 2013 and was originally scheduled to arrive at some point during 2014. Monster Hunter 4 Ultimate is still dominating the Japanese charts with near to 58,000 units sold this week, helping to contribute to lifetime sales of over 2.1 million. The only new entries in the top ten were LEGO Movie: The Game. The 3DS version entered at 8 and the Wii U version at 9. In hardware the New 3DS XL stayed top at a very comfortable distance ahead of the second place New 3DS. Nintendo is expecting Super Smash Bros. to push Wii U hardware in a big way. Speaking with Bloomberg, Nintendo of America president Reggie Fils-Aime said preorders for the mascot fighting game have already surpassed those of Mario Kart 8, a sign he believes will translate into a big boost for system sales this holiday season. "The launch of Mario Kart 8 has essentially doubled our Wii U sales year-on-year," Fils-Aime said. "Our expectation is that the sell-through for Smash is going to be very strong, certainly on par with what we saw with Mario Kart 8. We think the impact on hardware will be similarly dramatic." During the last fiscal year, Nintendo reported sales of 2.72 million Wii U systems. Through the first six months of this fiscal year (which included the launch of Mario Kart 8), Nintendo had sold 1.12 million Wii Us, compared to just 460,000 at the same point the year before. Super Smash Bros. launches on the Wii U November 21, although Nintendo today began allowing players to digitally pre-load the game on their systems, with the game becoming playable at midnight Eastern on release day. The rest of Nintendo's Wii U holiday push is expected to be driven by continued Mario Kart 8 sales, the debut of the Smash Bros.-compatible Amiibo toys-to-life figures, and supporting titles like Bayonetta 2 and Captain Toad: Treasure Tracker. 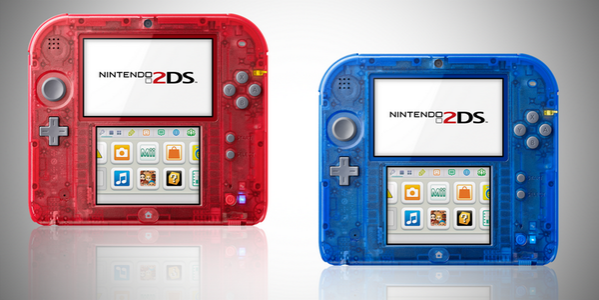 Nintendo announced today that its Crystal Red and Crystal Blue 2DS units, which were previously announced for Europe, will also be available in North America later this month. The units will launch on November 21 at $99. That just happens to be the same day Pokemon Omega Ruby and Alpha Sapphire hit stores. What a total kawinkydink! As Tiny Cartridge posted late last week, the 2DS has been showing up in retail circulars at the new price point. General reminder that the New 3DS will launch outside of Japan next year. Meanwhile, Japan receives Poke-themed New 3DS for the game's launch. Modder Kaze Emanuar has created Super Mario 64: Chaos Edition. It’s a mod that certainly lives up to its name.It’s just like playing the original Super Mario 64, except that Emanuar’s mod randomly patches in Gameshark codes that throw the game into the realm of a frantic fever dream.As you can see Vinny from “Vinesauce” experiencing in the video above, textures will swap out into shades of digital puke colors, Mario runs fast and leaps 10 times further than usual, Lakitu is found dead, all the level’s objects from trees and rocks to bridges are sucked towards Mario. And, at one point, Mario even turns into a wooden sign.That’s one way of spicing up an older game: turn it into a mostly unplayable but always highly surprising, chaotic version of itself.You can download Super Mario 64: Chaos Edition here but you’ll need an emulated version of Super Mario 64 running on your PC in order to give it a whirl. You can find emulators if you look in the right places on the internet. Mario Kart 8's first major content pack is available now, and for $8 and 1GB of Wii U space you can fill your racing roster with the likes of Link, the Master Cycle, and a circuit based on F-Zero's Mute City. Or, to summarize for numerophiles, three characters, four karts and eight tracks. Don't forget, you can also get the DLC as part of the $12 package that bundles in a pre-order for the second pack, due in March 2015. The eShop's not just about Mario Kart 8 this week... 'cos Mario Kart: Super Circuitbrings GBA racing to the Wii U Virtual Console. We josh, kartophobes, there's plenty of other stuff to download. There are the console and handheld editions ofSonic Boom, the Wii U port of pop-up beauty Tengami (check out our impressionsof it on iOS), and the belated stateside arrival of Pokemon Trading Card Game on 3DS Virtual Console. Since it's November and another one of those content-packed weeks, our digestible list of new releases should prove handy. You'll find that below the break. and if you're after sales and permanent discounts, point your clicker here. Super Smash Bros. 3DS has sold 1.2 million units in the US since it debuted at the start of October. That figure includes both physical retail and digital sales, and it's enough to make Super Smash Bros. the fastest selling handheld game in the US this year. It's also the 10th 3DS game to top 1 million sales since the platform launched in the US in March 2011. At present, Super Smash Bros. is the ninth out of those ten games in terms of sales, behind Animal Crossing: New Leaf with 1.42 million. And that list is only likely to get longer with the release of Pokemon Omega Ruby and Pokemon Alpha Sapphire later this month. According to the most recent Media Create data, Super Smash Bros. 3DS has sold just over 1.7 million units in Japan. It was released in Europe and Australia on the same week as the US, with Nintendo reporting a global sales figure of 2.8 million a few days later. Mario Kart 8's first DLC expansion headlines this week's list of new digital content for Nintendo players. The first of two DLC packs has been released, adding eight new tracks, three fresh characters and four new vehicles. Another surprise awaits Mario Kart fans on the Wii U Virtual Console this week, where Nintendo has also released Mario Kart Super Circuit - the brilliant Game Boy Advance entry. Sonic Boom: Rise of Lyric - In Sonic Boom: Rise of Lyric, Sonic, Knuckles, Amy and Tails, each with his or her own unique abilities, must work together to save the world and stop the evil alliance of Lyric and Dr. Eggman. With two-player co-op, a "Team Challenges" mode for up to four players and the ability to unlock special upgrades with Sonic Boom: Shattered Crystal on the Nintendo 3DS system (for those that own the system and the game), this may be Sonic's biggest adventure yet! Sonic Boom: Rise of Lyric is available exclusively on Wii U. A World of Keflings - Embark on a giant kingdom-building adventure to exotic lands and help your new tiny Kefling friends along the way. Play as your Mii character and help the friendly little Keflings harvest resources, assemble buildings and create thriving cities. Sonic Boom: Shattered Crystal - Play as Sonic, Tails, Knuckles and new friend Sticks, each with unique abilities, as you work as a team to save Amy and locate the Crystal before it's too late! In addition to the secret-filled adventure, you can experience a StreetPass collectibles mini-game and play through the story to unlock special upgrades for Sonic Boom: Rise of Lyric on Wii U (for those that own the system and the game). Sonic Boom: Shattered Crystal is available exclusively on Nintendo 3DS. Teenage Mutant Ninja Turtles: Danger of the Ooze - The Turtles are back in action against the evils of the world. Stop Shredder and his army of mutants as he threatens to unleash the power of a new Super Mutagen that could destroy their beloved New York City. - BIT.TRIP Presents...Runner2: Future Legend of Rhythm Alien is more than 60 percent off (reduced from $14.99 to $4.99) starting at 9 a.m. PT on Nov. 14 until 8:59 a.m. PT on Nov. 24. - Abyss is 25 percent off (reduced from $1.99 to $1.49) until 8:59 a.m. PT on Dec. 4. - Chubbins is 25 percent off (reduced from $3.99 to $2.99) until 8:59 a.m. PT on Nov. 20. - European Conqueror 3D is more than 30 percent off (reduced from $3.99 to $2.79) until 8:59 a.m. PT on Nov 27. - Darts Up 3D is more than 60 percent off (reduced from $2.99 to 0.99) until 8:59 a.m. PT on Dec. 4. Today we are with a new emulator for the Nintendo 3DS called BlargSnes , as implied by its name is a console emulator Super Nintendo Entertainment System (SNES) . A functional emulator, which is expected to introduce new features and improvements in future releases. Today we are with a new homebrew game for the Nintendo 3DS called " Shoot and Friend . " It is a game for two players in which we have to shoot the opposing player to dodge their shots and a barrier to get to win when there is no life to the opponent. Today we are a new homebrew 3DS , here is a game that is quite addictive and fun is called Jezzball 3DS . In the game you have to try to go leaving little space available to the balls you have in each level and go up in level in a limited time. Have a list of your best results and have 3D effect . And another one for 3DS , this time is a classic game that most know, I mean Snake a game remembered and included in the Nokia phones and made ​​us go from boring to fun times, because now everything changes and you can enjoy our 3DS. Today I present a new emulator for the Nintendo 3DS called 3DNES , as the name suggests is a console emulator Nintendo Entertainment System (NES) . From the earliest existing homebrews for the Nintendo 3DS, includes bracket MultiROM games. i took a quick look at the code to refresh myself why i never added that feature..
It´s time for a new FB Alpha release. This one is the biggest for quite a while with lot´s of new stuff, including some shiny new drivers. As usual, you can download this version from the FB Alpha page. There are lots of fixes and improvements, but the headline addition is the Konami work done by iq_132. As well as lot´s of fixes there are lots of new Konami drivers including Asterix, Bishi Bashi, Dragonball Z, G.I. Joe, Lethal Enforcers, Mystic Warriors, Shaolins Road, Wild West C.O.W.-Boys of Moo Mesa, Yie-Ar Kung Fu and Xexex. Older Konami games have also been improved, particularly with regards to sprite drawing and shadow support. This quality of this release is dedicated to Zazzone, without his countless hours of testing a lot of the bugs fixed in this release wouldn´t even be known about. To continue to improve the quality of future releases, be sure to report any bugs you find using the FB Alpha Bug Reporting Module. M64Py is a Qt4 front-end (GUI) for Mupen64Plus 2.0, a cross-platform plugin-based Nintendo 64 emulator. Front-end is written in Python and it provides a user-friendly interface over Mupen64Plus shared library. Gonetz let us know that he's posted a status update on the upcoming GLideN64 release. GLideN64 had a very successful crowd funding setup that met its goal and then some. - 888888-in-1 (CoolBoy AEF-390 8bit Console, B8VPCBVer03 20130703 0401E2015897A)(Unl)[U][!]. Comrade HardWareMan passed to me today one sweet dump of the embedded games from the Famicom-based OneBus system handheld game console, which is very appreciated! I decided to use this dump to rise amount of visitors to my little comfy blog. How? This console, apart from neat multigame menu with music and preview icons for every single unique game on board, as well as some nice already dumped Angry Birds and Plants VS Zombies ported games, have an unique starting cutscene with dancing Psy's with well known "Gangnam Style" music! Even more, for playing music this console uses exclusive OneBus' PCM DMA mode, so we can hear not only the chiptune music, but the whole composition with the voice (the same feature were used in my other dump of the dance mat called "Street Dance"). So, i hope my visitors rate will rised minimum by 50 millions. To be able to listen to this intro you need an updated FCEUmm from corresponding page on this site or latest SVN build of the FCEUX from SourceForge. - UNIF OneBus - PCM DMA timing and address fix. - Fixed a number of bugs, including Donkey Kong Land and possibly other roms being broken, and a bug that caused it to sometimes not work on a secondary monitor. - web: released pixel-edited dsi mainboard photo with signal names; twl_core.jpg. - Super 4-in-1 Fantasy Gun [p1][!]. Once again thanks a lot to Cheetahmen for provided carts! Not so special this time, but since I have nothing to dump just now, that is great anyway. So, from a bunch of variety of pirate stuff I have today, this one is most interesting. So called "SUPER 4-in-1" contains in total 4 simple little games, made by our chinese friends. Most of them using LightGun for controls. The same games can be found on a variety of standalone or handheld famicom based consoles with built-in games or OneBus systems like DreamGear. I'm not sure if any of such games aren't dumped before now, but I can't find any of them in existing dumps, so I can assume they isn't. - Goal 5 Soccer (Unl)[p1][! ], Highway Star II (Unl)[p1][!]. And some addition, to add more flesh to today's release, a couple of hacks from multigame cart "HIGH K Power Sports 4-in-1 (F-646)". THere is no point to emulate it completely, only two games are something special, two more games are unhacked regular versions of known games. These two are former "Tecmo World Cup Soccer" and "Nakajima Satoru - F-1 Hero 2" accordingly. Sebastian Mihai wrote us an e-mail to let us know about his latest NDS game Geoincursion. Geoincursion is homebrew beat’em up game which has multiple levels, multiple enemies and a secondary resource/special move system. Make sure to send Sebastian feedback! 3DS: Smealum to release the ssspwn exploit next week? In a subtle-but-not-too-much way, Smealum has announced a few days ago that his ssspwn exploit (and associated homebrew loader) will be released next week (screenshot below). The release of this exploit has been delayed by several months, after Nintendo announced the New 3DS. Smealum wanted to confirm his exploit would run fine on the new device. Which it does. It will be interesting to see if Smealum’s release shortcuts the hardware solutions. Although an educated guess tells me those flashcarts will do just fine, given how Smealum has stated several times that his hack will not enable rom supports (at least out of the box). I’m personally of course much more excited by a homebrew solution, and the technical details of the hacks behind it, than a DRM protected piracy solution (which to me ruins the whole point of being a tinkering hobbyist in the first place). Smealum’s solution will also not be totally free, as it relies on an exploit in a game, that people will need to purchase in order to trigger the exploit. It is a possibility that once the exploit is announced, Nintendo will remove it from their digital store, leaving people to fight for physical copies of the game. PSP owners might remember how copies of the game GTA: Liberty City stories went up to almost $200 in Japan once it was known this was “the” exploitable game (how ironic that with the Vita we discovered hundreds of exploitable PSP games). Nintendo fans in the UK may have lost their ability to peruse Nintendo-related news and features via the printed page when the Official Nintendo Magazine shut down last month, but now there's a digital magazine to take its place. Dubbed "Nintendo Extra," this new branch of the Nintendo UK site features articles based on several key company franchises, including Pokemon, Mario Kart, Pikmin and The Legend of Zelda. 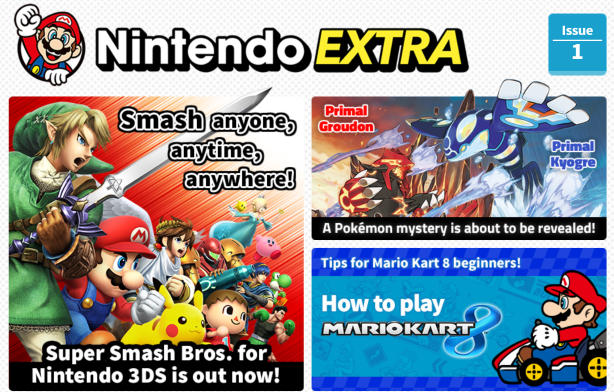 Before you get too carried away however, most of the content included in this first issue of Nintendo Extra is quite short, and few articles amount to more than advertisements for their respective game. There is some noteworthy content however, including tips on getting the best time in Mario Kart 8 and an interview with Legend of Zelda series producer Eiji Aonuma (though the questions - such as "Who are Link and Zelda?" - aren't exactly what you'd call "hard-hitting"). So maybe "digital magazine" isn't quite the way to describe Nintendo Extra - perhaps "digital pamphlet" or "brochure" might be better. But hey, a digital whatever-it-is is better than nothing, right? Another eight games are available as downloadable Club Nintendo rewards in the U.S. These games are as follows:PilotWings (Wii U Virtual Console) – 200 coinsVegas Stakes (Wii U Virtual Console) – 200 coinsClu Clu Land (Wii Virtual Console) – 200 coinsPop-up Pursuit (WiiWare) – 250 coinsTokyo Crash Mobs (3DS eShop) – 200 coinsKirby’s Pinball Land (3DS Virtual Console) – 150 coinsMetroid II: Return of Samus (3DS Virtual Console) – 150 coinsStarship Defense (DSiWare on 3DS) – 200 coinsAll right games are available until December 14th. Nintendo’s famed designer Shigeru Miyamoto has lashed out at the company’s rivals for what he sees as a slew of me-too products. What he would say of VR, however, was to comment on how he never liked the way players of Nintendo’s famously ill-fated Virtual Boy had to sit hunched over while playing. BREAKING News - SSSPwn 3DS Exploit - First Tastes of 3DS Homebrew! Well, it's time to blast this discussion wide open. GBAtemp's resident 3DS developer, smealum, has been quite busy the past couple of months developing his 3DS exploit called SSSPwn. We've seen the hundreds of discussion threads that have come up in the past, and we've seen where they all have ended up. It's time to put an end to all of this, and it's time to give you guys a taste of 3DS homebrew and what to expect out of it, straight from GBAtemp.net itself. No more speculation, no more dancing around. There is a lot more information to follow, so hit the "Continue reading" button for the rest of it! Now, I must apologize in advance. I have not been entirely honest with you guys, and I should mention that I have been working alongside smealum with this exploit since August, gaining more information as to what this exploit is all about. I am mentioning this topic because the release date of SSSpwn is truly at hand, and it's awesome to think of the potential that this exploit will bring. This exploit is actually very simple to launch. This exploit is similar to the exploit that made Wii hacking popular - the modified boot.elf file that is placed on the root of an SD card, and launched by opening the Wii mail/message center. For those of you that don't remember, the screen glitches out, and the exploit will launch, asking to install the homebrew channel. The concept here is very similar and launched in a similar manner - why break what currently works? There's no reason to. Activating the exploit is very easy. It requires a Nintendo 3DS. It could be a regular 3DS, or it could be the New Nintendo 3DS. It's very versatile. Activating the exploit begins by going to a particular link. I will not be distributing that link, but it will be available soon - I promise. Going to that link, you will be asked to input the firmware version of your Nintendo 3DS. Following that, you're going to be getting a set of directions that will instruct you on how to proceed with installing the exploit. Doing so, however, requires a Nintendo 3DS title, and due to the nature of the exploit, I will not be providing that information to the public at this time. No exceptions to this rule will be made. If you try and message me about it, do not expect a reply. Once the exploit is installed, you will have the Homebrew Channel, not so unlike that of the Nintendo Wii, on your system. From here, you can power down the system, or remove the SD card while in the Homebrew Channel to install homebrew, which takes the form of .3DSX files. These homebrew are placed in a created directory on the 3DS SD card's root, and placed in a folder with that homebrew's name. The file is renamed boot.3dsx, and once you reinsert the SD card, the Homebrew Channel will acknowledge the presence of the application and you will be able to run homebrew! Yep, you got that right, I got the opportunity to test some 3DS homebrew. First of all, I will note that the homebrew is in 3D. And it's actually pretty solid, so I'll have to hand it to smealum for that. Please note, though, that homebrew in its current stage is in a "work in progress" phase, so there's still things that need to be worked on. The title I spent time working with is 3DSCraft. Yep, it's Minecraft, on the Nintendo 3DS, on the go. And dear God my camera is horrible - Minecraft 3DS looked a lot better than that mess. With a Nintendo 3DS, the operations are limited, to be developed for future, but it does its purpose - it shows people that homebrew runs. And what better way to prove this than with a picture? (Minor side note - the New Nintendo 3DS has more operations available due to the extra buttons the console has). According to smealum, a lot of the homebrew being worked on still has stuff to fix, but the potential is out there - there's so much that could be had in terms of 3DS homebrew with this out in the wild. So Now What? Why Should I Care? There's still things to perfect with this exploit. It's not flawless by any means, but it's a huge first step to recognize the homebrew that is capable of running on the Nintendo 3DS. It's a very versatile exploit that can be installed on virtually any Nintendo 3DS console out there, regardless of firmware. For those that follow the homebrew scene, this is a great opportunity, once released, to start doing things with it. Think emulators. Custom games. Applications. And that is what myself and smealum hope to see as a result of this - a developing homebrew scene that helps the 3DS soar like back in the days of the Nintendo DS. Please note, however, that 3DS backups are not possible to execute on this exploit. So When Can We Expect This to Come Out? A lot of this community has waited anxiously for more information as to the release of this exploit. Well, I can give you a date as to when to expect it - and it's soon. The date that the 3DS exploit will become publicly available is November 22nd, so mark those calendars. All information will be made public at that date, which includes the game needed to execute the exploit. There will more than likely be a follow up post to this that contains that information, but in the meantime, stay hopeful and get excited, because things are going to get good from here on out. In the meantime, though, I would like to ask that, if you want to discuss the exploit, to do so here, instead of writing hundreds of threads within the Nintendo 3DS Hacking and Homebrew forum. GovanifY has released a custom firmware for 3DS handhelds on firmware v4.5 which was developed by yellows8. Added Support for 3d rendering. Added Support fo FS service. Added Support for GPU service. Added Support for syncro kernel objects like mutexes, semaphores and etc. Fixed a bug in linear memory allocation. Predictably, Nintendo has pulled the game from the eShop, while eBay prices have shot through the roof, topping out at nearly £80. Rabet has been testing development with a version of Minecraft he's created called '3dscraft'. Someone who's played it says "the homebrew is in 3D. And it's actually pretty solid". Japanese companies WaiS Co.LTD and The Location Inc. released a chat app for the Nintendo 3DS in Japan, titled Minna no Oshaberi Chatto. This app is being released in North America and Europe by Teyon as Chat-A-Lot.Chat-A-Lot functions the way you would expect. It’s a voice and text chat application, and allows you to communicate with other 3DS Friends List. Text-based group chats are possible with up to 10 people, while group voice chats can include up to four people.While chatting, you can also draw and exchange pictures. There’s also a password protection feature for concerned parents that want to control the way their kids can use the application.Chat-A-Lot will be available on November 20th in the American eShop for $7.99. Europe will get the game “soon”. Smash Bros for Wii U and Pokémon Omega Ruby & Alpha Sapphire for 3DS are the headline releases in this week's US eShop update. Watch Dogs also makes its delayed Wii U debut, featuring console exclusive features like an interactive map on the GamePad as well as off-TV play on the tablet controller. Get a Smashing Soundtrack and Mewtwo DLC - For a limited time, buy and register both Super Smash Bros. for Nintendo 3DS and Super Smash Bros. for Wii U to receive a special soundtrack CD and free Mewtwo DLC from Club Nintendo. The soundtrack CD offer runs Nov. 21 through Jan. 13, 2015. The Mewtew DLC offer runs Nov. 21 through Mar. 31, 2015. National StreetPass Weekend is back! - Swing by a Nintendo Zone hot spot with your Nintendo 3DS system from Nov. 26 through Nov. 30. We are mashing up StreetPass Relay Points across the U.S. and Canada so you can get up to six StreetPass tags from many different places. Collect puzzle pieces from Mii characters to fill up your puzzle panels in Puzzle Swap or pick up enemy tokens for StreetSmash in Super Smash Bros. for Nintendo 3DS. Find a hotspot near you here:http://www.nintendo.com/3ds/nintendozone. Wii U: Nordic Games is putting Jeopardy!, Wheel of Fortune and other fun games on sale starting at 9 a.m. PT on Nov. 25 until 8:59 a.m. PT on Dec. 2. Wii U: The Letter is more than 75 percent off (reduced from $1.99 to $0.49) until 8:59 a.m. PT on Nov. 30. Wii U: Ping 1.5+ is 50 percent off (reduced from $4.99 to $2.49) starting at 9 a.m. PT on Nov. 26 until 8:59 a.m. PT on Dec. 3. 3DS: Big Hero 6 Battle in the Bay is more than 30 percent off (reduced from $29.99 to $19.99) starting Nov. 26 until 8:59 a.m. PT on Dec. 10. 3DS: Yumi's Odd Odyssey, Harvest Moon: The Tale of Two Towns and other games from Natsume will be on sale starting at 9 a.m. PT on Nov. 25 until 8:59 a.m. PT on Dec. 1. 3DS: Disney Frozen: Olaf's Quest is more than 30 percent off (reduced from $29.99 to $19.99) starting at 9 a.m. PT Nov. 26 until 8:59 a.m. PT on Dec. 10. 3DS: The Keep is more than 30 percent off (reduced from $12.99 to $7.99) until 8:59 a.m. PT on Dec 4. 3DS: Classic Games Overload: Card & Puzzle Edition is more than 30 percent off (reduced from $29.99 to $19.99) until 8:59 a.m. PT on Dec. 1. 3DS: Real Heroes: Firefighter 3D is more than 50 percent off (reduced from $9.99 to $4.99) starting at 9 a.m. PT on Nov. 25 until 8:59 a.m. PT on Dec. 4. The British Academy Children's Awards took place last night and Mario Kart 8 was chosen by the jury to receive this year's award. It faced competition from Tearaway, Rayman Legends and Pokémon X & Y.
Minecraft won the Kid's Vote award, beating Disney Infinity, FIFA 14 and Skylanders SWAP Force among others. The Kid's Vote categories were judged by seven - 14 year-olds with over 200,000 votes cast. Nintendo has removed AQ Interactive's Nintendo 3DS puzzler Cubic Ninja from Japan's eShop (the only region in which it saw a digital release) after details regarding an in-game exploit were revealed earlier this week. 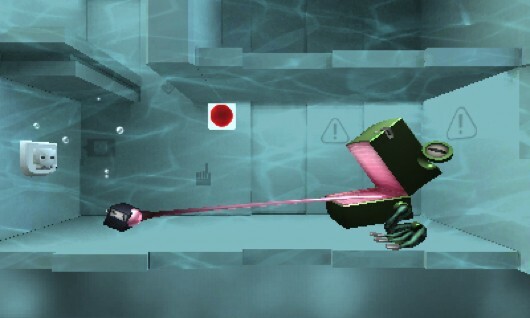 The exploit, which requires a modified save file and a copy of Cubic Ninja, reportedly enables the use of homebrew games and applications on Nintendo's handheld. It does not currently enable piracy of commercial games -- a widespread issue that plagued the Nintendo DS throughout its lifespan. After the exploit was announced, used copies of Cubic Ninjashot up in price oneBay, Amazon, and through other third-party sellers. The North American version of the game currently fetches prices in excess of $40 on Amazon, while several recent eBay auctions have ended at over $30. A similar phenomenon spikedLumines prices when a homebrew-enabling buffer overflow exploit was discovered for Sony's PSP in 2007. It's a big week for Nintendo, with Wii U and 3DS each receiving their major Christmas title. Wii U owners will be able to buy Super Smash Bros. for Wii U from Friday, while 3DS owners will be able to pick up Pokemon Omega Ruby and Alpha Sapphire. Other weekly highlights include the Wii U launch of indie platformer Thomas Was Alone, and Virtual Console releases for GBC puzzler Pokemon Puzzle Challenge and Capcom's SNES RPG Breath of Fire. A fire at the warehouse used by Nintendo UK’s customer repair partner has affected a number of gamers. The Coventry Telegraph reports that Repair Tech’s offices were hit by a serious fire last week that required the night-long attentions of a number of fire engines to tackle. “We can confirm that on Tuesday 18th November, a fire broke out in the warehouse owned by RepairTech, the company that Nintendo UK uses to fulfil its customer repairs,” a Nintendo UK spokesperson told MCV. Customers whose hardware or software was in for repair have been contacted to be told that free replacements are to be issued, alongside some complementary free eShop credit. At one stage firefighters had to withdraw from the scene owing to the density of smoke bellowing from the burning plastics. There was also concern regarding the danger of a nearby oil storage tank. Nintendo's lineup of “must-have” Wii U and 3DS games to be shown off include Super Smash Bros., Hyrule Warriors, The Legend of Zelda: A Link Between Worlds, Pokemon Omega Ruby and Alpha Sapphire, Mario Kart 8 and more. One solitary used copy is currently available on Amazon for £59.95 while Ebay auctions have been ending for anything between £5 and £65, with prices climbing sharply this last week. "I don't care if people pirate in their private lives, but I don't want to be a part of it," Rabet toldEurogamer. "I don't want to release something others can use to steal someone else's intellectual property. That's not what I want. I wouldn't release something that could be used for piracy... it's just not something I want to do. "It's very dangerous. If you release an exploit that's too powerful you might let people do whatever they want with their console – which can be great – but you also have the possibility of piracy... which isn't so great. "Right now I'm hoping the loader attracts more developers and people start building more homebrew games. I'm working on the 3DS version of Minecraft and a bunch of people are working on emulators. I'd really like to see how far we can push the 3DS." 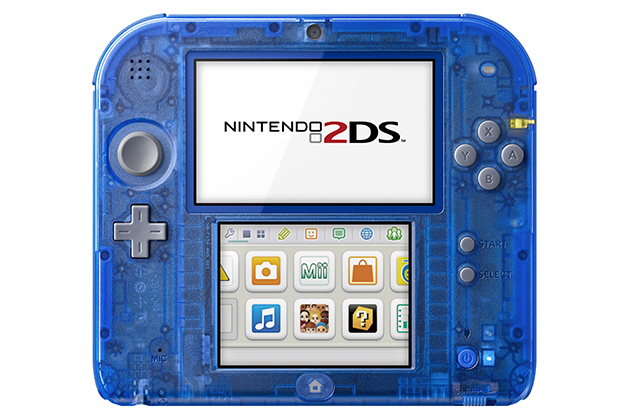 Grab the Nintendo 2DS with Mario Kart 7 for $99.99 (Save $30) at BestBuy.com! Not only does this bundle feature the power of the 2DS gaming system, but it includes the thrilling, high-speed kart-racing fun of Mario Kart 7. Reach new heights as your kart soars over track shortcuts with a special wing and plunges into the sea with a propeller. Customize your vehicle with accessories to suit the track, whether it be big tires for off-road tracks or small tires for city courses. Race as one of your favorite Mushroom Kingdom characters, and take on exciting courses over a mountain road, through city streets, across a dusty desert, around new courses on Wuhu Island and more. The race is on. US retailer has responded to the increased demand for 3DS title Cubic Ninja by ramping up the game’s price. The 2011 Ubisoft platformer has enjoyed a surge in popularity after a hacker detailed an exploit that gets homebrew software running on Nintendo’s 3DS – for which a copy of the game is needed. Prices had already rocketed on Ebay and Amazon but nowPolygon reports that High Street retailer GameStop has also cottoned on. The chain is currently asking $39.99 for pre-owned copies of the game, although this is discounted to $35.99 for PowerUp Pro Rewards members. Apparently copies were going for as little as $5 just last week. "As always, our pricing for these games is competitive and is based on current market value driven by supply and demand," a GameStop statement confirmed. The chain has previously proven responsive to shifting market demand, having sold Wii RPGXenoblade Chronicles for $90, describing it as ‘vintage’. Nintendo recently pulled Cubic Ninja from its eShop in Japan. It has never been available digitally in the West. Thomas Was Alone and Persona Q: Shadow of the Labyrinth are among the new releases featured in this week's US eShop update. The latter is the first Persona game to be released on a Nintendo console. Wii U and 3DS: The Nintendo eShop Cyber Deals will let you save up to 30 percent each on 10 select games from Thursday, Nov. 27, at 9 a.m. PT until Tuesday, Dec. 2, at 8:59 a.m. PT. Visitwww.nintendo.com/eShop-cyber-deals for more information. Plus, don't forget to check out discounts on other great games! Head to the Nintendo eShop on Wii U and Nintendo 3DS and look under "Price Drops" to find out more about these great deals. Lego Marvel Super Heroes is on sale for Nintendo 3DS and Wii U until 8:59 a.m. PT on Dec. 1. Wii U: Rock Zombie is more than 10 percent off (reduced from $6.99 to $5.99) starting at 9 a.m. PT on Nov. 27 until 8:59 a.m. PT on Dec. 4. Wii U: ZaciSa's Last Stand is 25 percent off (reduced from $1.99 to $1.49) until 8:59 a.m. PT on Jan. 7. 3DS: Code of Princess is 50 percent off (reduced from $29.99 to $14.99) starting at 9 a.m. PT on Dec. 1 until 8:59 a.m. PT on Dec. 15. 3DS: Conception II: Children of the Seven Stars is more than 30 percent off (reduced from $39.99 to $24.99) starting at starting at 9 a.m. PT on Dec. 1 until 8:59 a.m. PT on Dec. 15. 3DS: Azure Striker GUNVOLT is more than 30 percent off (reduced from $14.99 to $9.99) starting at 9 a.m. PT on Nov. 28 until 8:59 a.m. PT on Dec. 15. 3DS: Farming Simulator 3D is 50 percent off (reduced from $9.99 to $4.99) until 8:59 a.m. PT on Dec 11. Farming Simulator 14 is more than 30 percent off (reduced from $29.99 to $19.99) until 8:59 a.m. PT on Dec. 11. Parking Star 3D is over 30 percent off (reduced from $2.99 to $1.99) until 8:59 a.m. PT on Dec. 18. Phoenix Wright: Ace Attorney - Dual Destinies is 50 percent off (reduced from $29.99 to $14.99) starting at 9 a.m. PT on Nov. 26 until 8:59 a.m. PT on Dec 2. Chain Blaster, Crazy Construction and other games from G-Style are on sale until 8:59 a.m. PT on Dec. 31. Shin Megami Tensei: Devil Survivor Overclocked is 50 percent off (reduced from $29.99 to $14.99) starting at 9 a.m. PT on Dec 1. Until 8:59 a.m. PT on Dec. 8. Double digits, Nintendo DS! Little two-screened wonder, the machine that rose Nintendo to the heavens rather than the depths of hell, you turned 10-years-old earlier this month. How far you've taken us, Nintendo DS! As the GameCube floundered back in 2004 and Game Boy Advance was staying afloat thanks to Pokemon, the world scoffed at your weird design. A microphone? A touch screen? Madness! Now there's scarcely a device out there that doesn't sport both features. You sit along the original Nintendo Entertainment System as one of the most successful and influential gaming machines ever. 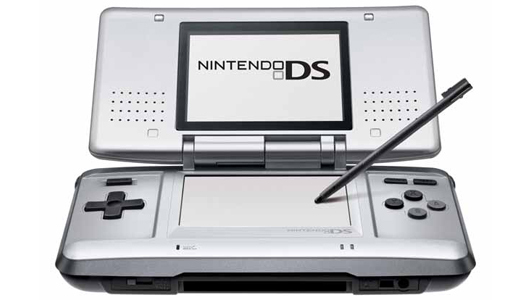 Now that you're ten, Nintendo DS, it's time to grow up! No more dillydallying with soft batch games like Spectrobes! With a decade under your belt, its time for games that will make you the womanliest woman and manliest man you can be, Nintendo DS. Here are ten games that will make you a grown up. They will teach you things about life, love, triumph and heartbreak. Here, dear DS, are ten games to play on your road to adulthood.